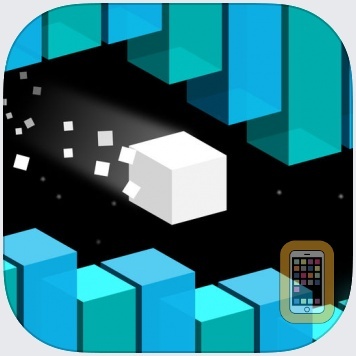 Gravity Switch is an addictive game that requires focus, concentration and precise timing. The users can turn space upside down and defying the laws of gravity by the intuitive one-tap controls, which allow you to discover the ideal path through all the challenging mazes. 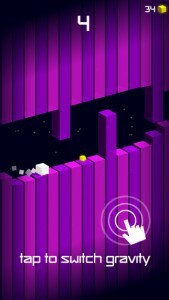 The challenge is to travel as far as you can and use the different power-ups to improve your high score even more. 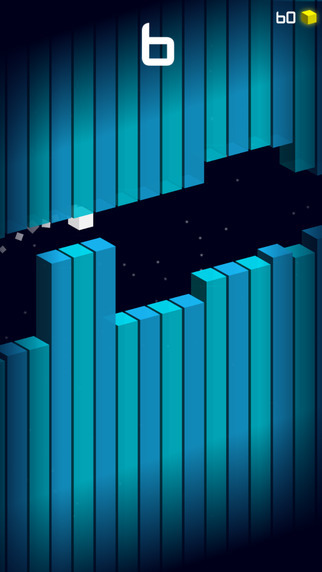 I feel it’s as hard as the flappy bird… you need to react really fast. The designers should avoid displaying a UI element that tells people to rotate the device. Running in the supported orientation clearly tells people to rotate the device, if required, without adding unnecessary clutter to the UI. 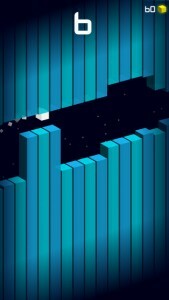 Give tappable controls a hit target of about 44 x 44 points to Make it easy for people to interact with content and controls by giving each interactive element ample spacing. We should always take the color blind people’s situation into consideration and be aware of color blindness. Most color blind people have difficulty distinguishing red from green. Test your app to make sure that there are no places where you use red and green as the only way to distinguish between two states or values. 1. 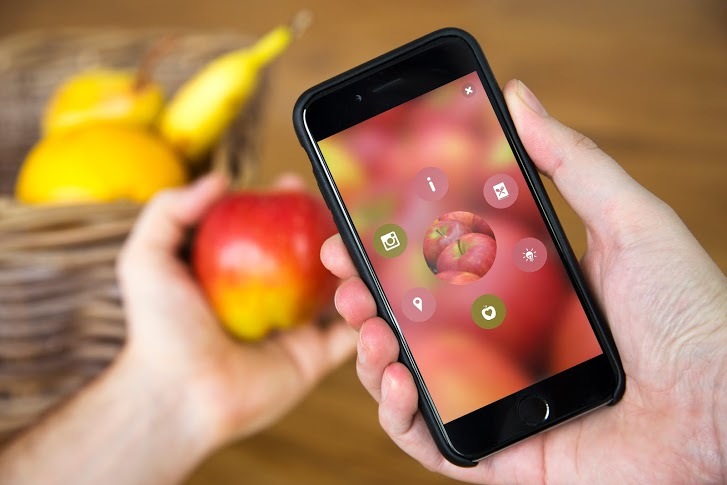 Download the app and you’re ready to start ‘blipping’ almost anything in the world around you – from plants to pets, fruits, even your dinner! Try it and see what you discover. 2. Also, look out for the Blippar logo on packs, magazines and posters. ‘Blipp’ the whole page or product for amazing Augmented Reality experiences from your favourite brands. 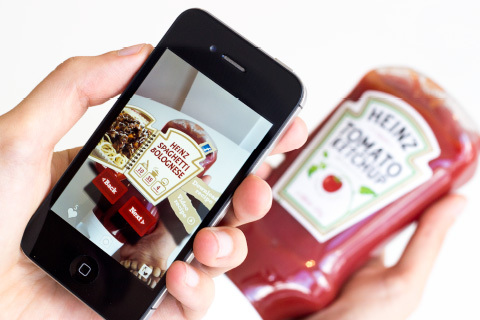 Blippar use the way called Visual Marketing. 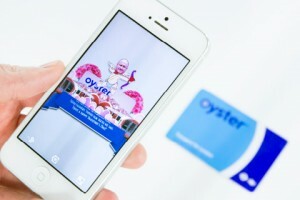 Through augmented reality and computer vision technology, Blippar adds digital content to physical objects. It harnesses image recognition and rewards our curiosity with engaging experiences. Blippar can also be used in education. Help start an education revolution by transforming classrooms and museums into digitally interactive learning environments. Stoke the imaginations of students of all ages with textbooks and materials that come to life with immersive experiences. With Blippar, educators can seamlessly enhance learning materials with digital content that students can access using a smartphone or tablet. Here is my mobile media apple tv app wireframe and slides. Here is the Final project 1 presentation. And here is the link to Final Marvel prototype. Here is the link to my mobile media presentation 1, the wireframe prototype, design prototype and user insights have all been included. Posted on March 2, 2016 March 14, 2016 Author JinCategories UncategorizedLeave a comment on Project#1 Whose food?